BORN FROM THE CHRONO LEGACY AND PACKED FULL OF THE LATEST TECHNOLOGY, THIS ALL-NEW DESIGN TAKES IT TO THE NEXT LEVEL. THE CHRONO V3 IS BY FAR THE MOST UNIVERSAL HIGH-LEVEL FOIL KITE, YOU CAN EXPECT OUTSTANDING PERFORMANCE ACROSS THE BOARD. The kite is more reactive due to being a stiffer wing, which means it’s incredibly efficient even in the lightest breeze. 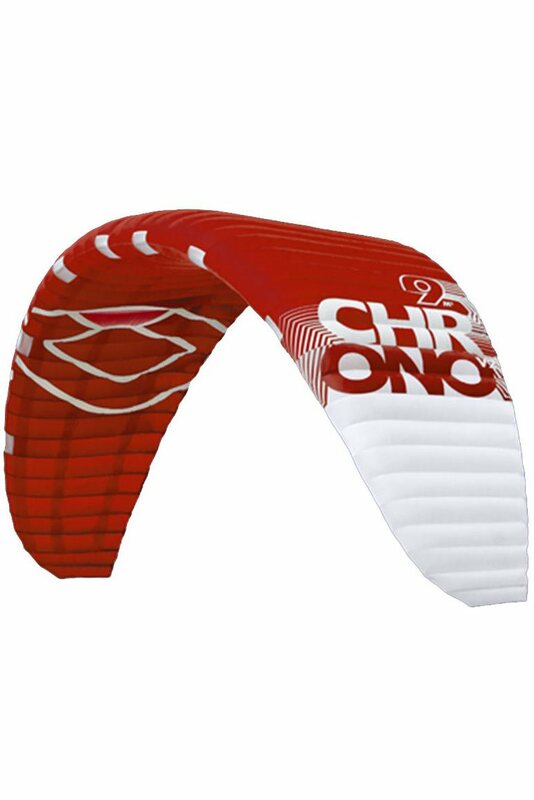 With the Chrono V3 upwind riding has become a “no-brainer” and this kite will get you out in winds you previously thought were un-kiteable. Stability is essential no matter what conditions you’re out in, we’ve made sure the V3 holds its ground and delivers the utmost rock-solid stability.-The Chrono V3’s multi-purpose design means it is perfect for high-performance Twin Tip freeriding - launching yourself into big floaty airs or out and out power and speed riding. Hydrofoil riders will instantly notice the improved stability and tacking/gybing potential of the V3, it will lift you for longer making maneuvers smoother and more intuitive. Snow kiters will notice a significant performance boost of the V3 over its predecessor, ensuring riders have the power to carve up the snow and sky in even the lightest breeze. The responsive handling has expanded the realm of possibility for landboarders, giving more control for engaged freestyle maneuvers. The incredible stability of the Chrono V3 gives riders the assurance they need to go for new tricks without hesitation.